For too long, humanity has neglected its environment and profited from its marvels with little consideration for their saving or renewal. Tourism is far from being an exception, especially when considering the fast increasing number of people travelling all over the world. Great efforts definitely have to be made by tourism professionals. But preserving our planet doesn’t have to consist in abandoning any idea of comfort and pleasure though. That’s why Burma Boating has dedicated themselves to developing and offering luxurious AND sustainable cruises, guaranteeing a high end level of care, safety and comfort to both their customers and their good old partners, the Indian Ocean and the Mergui Islands. Everyone has in mind these terrible pictures of giant plastic trash islands floating on the ocean, wild animals tortured by plastic straws, bags or packagings… To make things change, let’s make our own habits change first. That’s why Burma Boating signed up for the Refill, Not Landfill program which aims at developing and financing solutions to limit plastic use under all kinds of circumstances. Aboard our ships, that means no plastic bottles at all - our customers are provided with refillable bottles they can use with perfectly clean filtered water produced directly on the boat. It is a seawater recycling system called reverse osmosis with 3 different filters that has proved itself reliable over the years. Plastic straws are banned as well and replaced by natural straws, and all the food and products that can possibly be purchased from local producers without plastic packaging are welcome aboard. Every small thing is important to lower the impact of a cruise on its environment. 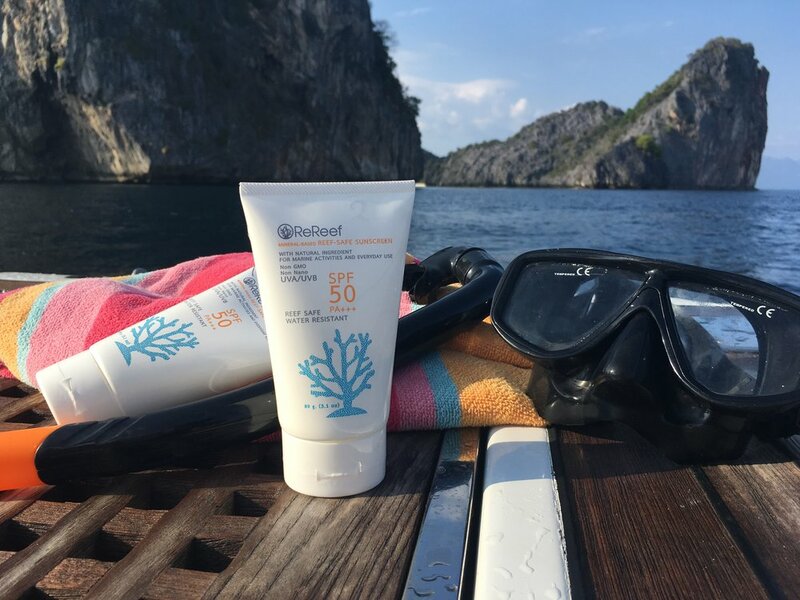 Did you know that sunscreen can be deadly to corals for example? Our customers will be offered natural mineral-based sunscreen that is absolutely harmless to wildlife [rereef.co]. Biodegradable soap, shampoo and household cleaning products were carefully selected to equip all our cabins and ships. Organic and fresh local food is largely privileged over processed and industrial products. Finally, a highly strict waste management will result in absolutely zero non-organic matter or object being thrown out at sea during the whole cruise.